Owning a firearm carries with it the responsibility to make and keep your gun safe when transporting, using, or storing. In reality, not every gun owner will take the steps to own gun cases for their firearms. Those who do are investing in protecting their firearms and providing a measure of safety for others. Gun cases serve a variety of purposes from showing the gun off to safe storage. There are all kinds of different gun cases for virtually every type of gun, and they are fabricated using an equally diverse array of materials. For those who own firearms, there is a never-ending selection of gun cases available with varying degrees of quality for any gun you may have. The basic types of guns the average gun owner will possess requiring a gun case are handgun or pistol, shotgun, and rifle. There are many features available for gun cases that serve a wide variety of needs and specifications for any type of situation. Gun cases are available in hard or soft types and use materials such as polymer plastic and resins, foam, metal, and fabric. 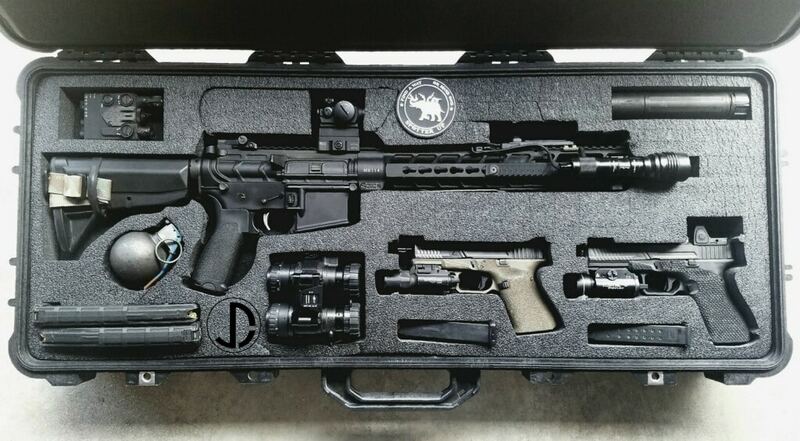 Pelican gun cases are hard gun cases with premium features and excellent materials. There are a number of advantages to using these cases over other types of gun cases. Functionality is one of them, as the hard shell provides protection for your firearm, as well as other features. They offer cases for pistols, rifles, and shotguns. Prices range from $50 to $400, depending on the size you choose. There are a number of different types of shotgun cases available, both hard and soft-shell varieties. Hardshell models usually have a foam insert where the shotgun lays for storage. It also has a lock and space for ammunition storage and gun cleaning equipment. That is the type of case you may want if you travel a lot to go to sport shooting events or are a serious hunter. Soft-shell gun cases are either open or closed styled. The open style cases allow the end of the shotgun to protrude beyond the edge of the case of easy access and firing capability. The closed variety may be suitable for many households, where the weapon is for defense, but must be placed out of reach of children or others. Many of these have locking mechanisms to provide safety further. Hardshell gun cases cost from $30 to $400 or more. On the other hand, softshell varieties run between $25 to $175. Of course, the price depends on the size and retailer you choose. 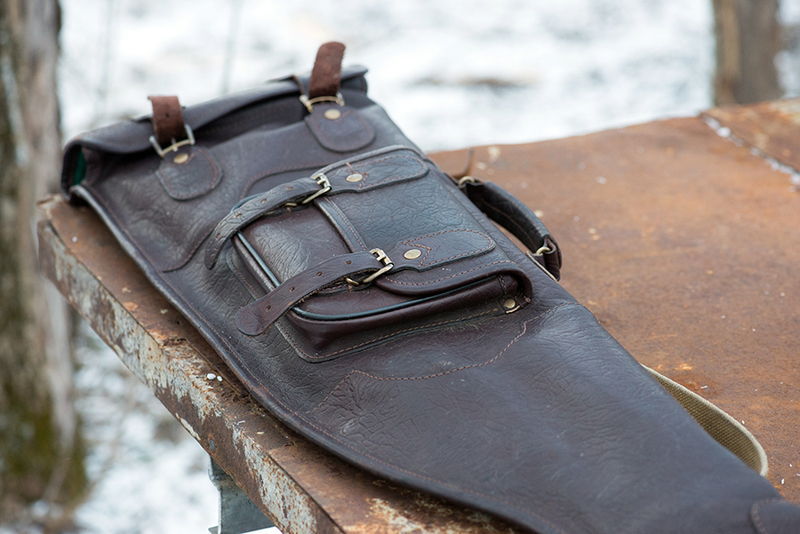 For many people, the gun bag serves as an alternative to the traditional hard or soft gun case. You can use it for firearms that need transport quickly. There is also room for additional supplies. These may include ammunition, hunting items, and cleaning kits, as well as hearing protection and protective eyewear. 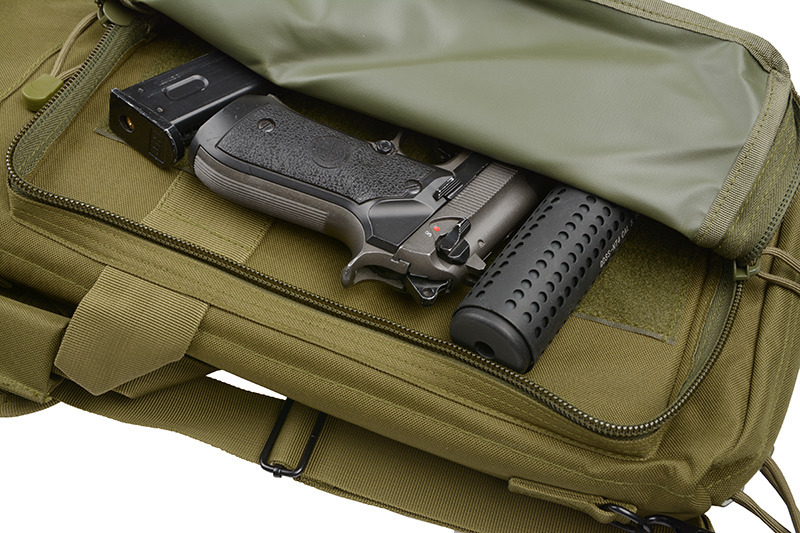 You can buy a gun bag which fits your pistol, rifle, or shotgun, plus accessories. These bags can also hold other items such as wallets, cellphones, id, cash, jewelry, or valuables. Many have locking mechanisms available to ensure your gun and valuables remain secure. Depending on the size you want, gun bags can cost from $50 to $150 or more. This double long rifle and pistol firearm bag from Amazon is a nice choice with a 5.0 out of 5 star rating in that price range. First of all, you should evaluate your gun and the need you want satisfied from your gun case. If your purpose is hunting, you may want to get the most durable and practical gun case for your shotgun or rifle. If you are a gun collector or are using the gun cases to display the firearms at gun shows or events, you may want the most attractive and ingenious gun cases out there. Look for ones made with materials that will showcase the beauty of your firearm, as well as attend to the practical aspects of storing and protecting your guns. Select hard materials if your aim is to protect your gun more than anything else. If you need to have the guns locked, make sure to pick a gun case that includes a strong lock. These are available either in combination lock style or through use of a key system. On the other hand, if you need a gun bag to transport your guns quickly, select one that fits your gun and additional ammunition. Functionality is key. You will also have to find gun cases that are within your budget, so compare models and makes of gun cases extensively before you buy.